This beautiful 3 bedroom, 2 bath home is MOVE IN READY and includes a separate office/den! The family room is light, bright and airy with vaulted ceilings and a large plant shelf for architectural interest. The kitchen has plenty of storage, ample counter space for prep, has a breakfast bar and event the perfect spot for your kitchen table! There is also a door leading onto your large backyard. This yard would be perfect for your swimming pool, playset or cookouts with family & friends. The master suite has walk in closets and it's own private bath. The master bath has double sinks, a garden tub and a separate shower. 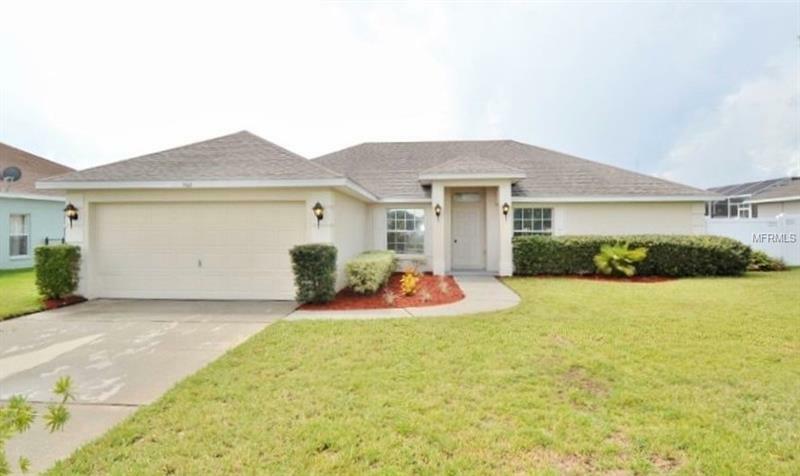 All of this in a great GATED neighborhood close to all that Central Florida has to offer!